Indica vs. Sativa Marijuana - What is the Difference? There are two basic types of marijuana that is used medically. We say medically, as there is also a type of marijuana called ruderalis, which isn't currently recognized as having medical properties. The two basic types of medicinal marijuana are Indica and Sativa. Indica is often described as having a "couch lock" effect, as it is more sedating, and once you sit or lay down, you may not feel like getting up for awhile. Indica is very calming. It is a good sleep medicine. It is the preferred type of marijuana to be used by Rick Simpson when making his hemp oil (aka cannabis oil, marijuana oil, honey oil, hash oil) . For patients who are battling cancer, or a severe illness that requires much rest, or for patients who are having difficulty sleeping, Indica is the type of marijuana preferred by patients with those type of ailments as being the most effective. Sativa is often described as having a "thought provoking, mood lifting" effect. Many patients report having an uplifting mood to the point of being energized and ready to, plus happy and giggly. Some patients prefer using Sativa dominant strains as daytime medicine and Indica dominant strains as nighttime medicine. Strains of marijuana are a blend of the two types of marijuana. 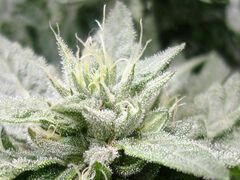 For instance a strain may be 70% indica and 20% sativa. In this example the strain is dominantly indica, so it should be more of a calming, rest inducing strain. There are nuances between each patient, just like there are nuances between each strain of marijuana. Even with all the lab testing that is becoming more popular, it is very important to remember that what one patient finds as a favorite, may be not so effective for another patient. Embrace the selection process and don't get intimidated. They all have basically the same effects with some minor differences. 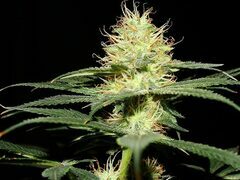 If a friend recommends a particular strain and it wasn't as effective as you expected in treating your condition, then try other strains, until you find the ones that work best for you. Just like allopathic medicine which trys various pharmaceutical drugs to reach a desired effect, this is no different, except that you can't die, because marijuana is non-toxic medicine.